So, America built six frigates, but those weren’t the only warships in the fledging navy. 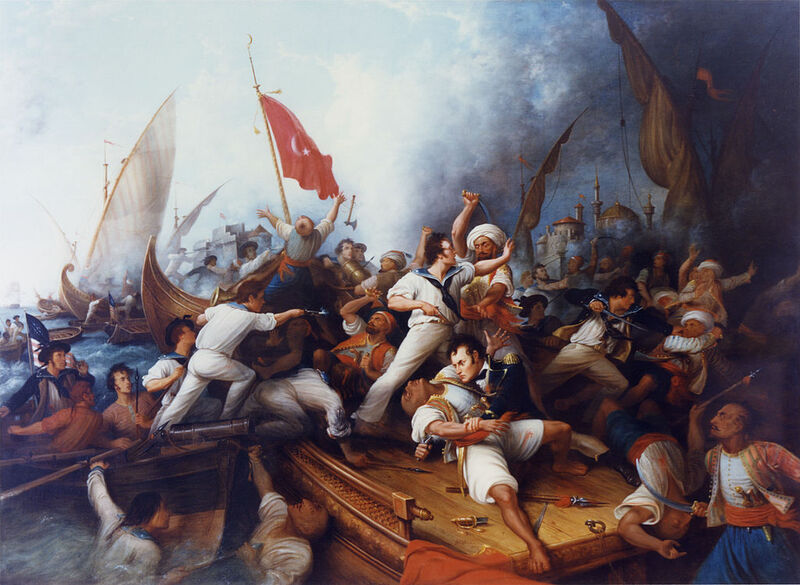 The Barbary Wars tend to be forgotten conflicts in overview studies of U.S. History, but they are incredibly important for understanding diplomacy and America’s earliest national interactions with Islamic countries. They are particularly interesting to our study of 19th Century maritime for two reasons. 1) They take place at the very beginning of the 19th Century 2) They are fought to protect American maritime commerce in the Mediterranean. 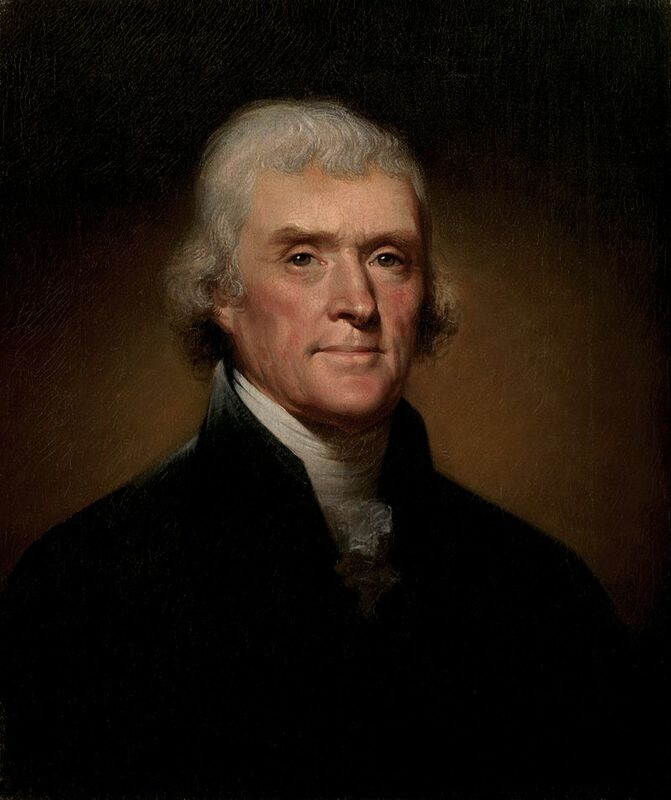 During the 1780’s, Thomas Jefferson (then serving as U.S. Ambassador to France) estimated that about one-quarter America’s dried salt cod and one-sixth of the nation’s grain was exported to Mediterranean countries for sale or trade. That’s some substantial profit for a fledging nation’s merchants. Pirates had been a problem in the Mediterranean for a really long time. The ancient empires and medieval kingdoms had to fight or evade the pirates. Sure, the bad guys’ nationalities, origins, and motives changed through the centuries. By the 18th and 19th Centuries, some of the worst pirates sailed from the North African “kingdoms” – Morocco, Algiers, Tunis, and Tripoli, collectively known as the Barbary States. Each little state was controlled by a separate ruler (and the rulers changed frequently), and all of them allowed or encouraged piracy. The cargo of captured ships would be used in the “kingdom” or sold for profit and the captains and crews were enslaved in harsh conditions. During the Middle Ages, North Africa had been conquered by Muslim forces, and at the beginning of 19th Century, Islam was the primary religion in the region. Thomas Jefferson and John Adams met with an ambassador from one of the North Africa countries to try negotiating for the release of captured captains and crews and get the pirates to stop attacking American shipping. In an effort to understand his diplomatic opponent’s point of view, Jefferson questioned why they were attacking ships of nations when there was no declaration of war. The ambassador explained that their religion allowed them to capture and enslave “infidels” and profit from “Christian” nations. This was a very different diplomatic situations than the ones Jefferson and Adams regularly dealt with in France and Britain. Britain and France regularly paid tribute to all the North African countries to ensure their merchant ships’ safe voyages in the Mediterranean. During Washington and Adam’s presidential administrations, small amounts of tribute (or just promises) were sent to the North African rulers. America couldn’t afford to pay full tribute, but they were building their first six frigates and converting other ships into navy vessels. Meanwhile, American crews continued to suffer imprisonment. Thomas Jefferson actually didn’t agree with his political party; he realized the country needed some warships – he just didn’t want too many! During his presidency, Jefferson started taking a stand against the North African pirates. He began sending small American fleets to the Mediterranean. Where U.S. ambassadors had failed (though they had sincerely tried), warships managed to send a clear message to the pirate bullies. When the Tripoli ruler decided to chop down the American flag – essentially a declaration of war – the Navy was prepared to respond. Stephen Decatur was a young officer who was honored for his daring feats. Shown here (on the deck) fighting off his adversaries. The United States was the first nation to stand up to the rulers and their pirates. For decades, European powers had handed over money and trade items to buy their peace; America said no. They would enforce peace and safety for their civilian merchantmen and negotiate for the release of all captive Americans. 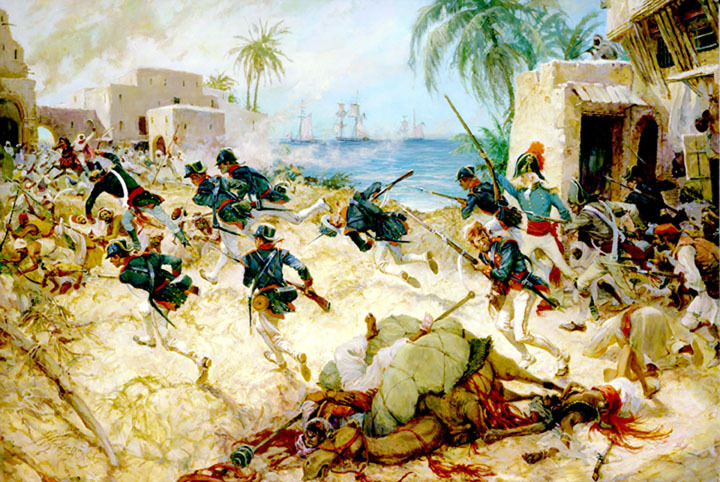 In the First Barbary War, there were moments of triumph and frustration for the Americans. Communication proved difficult with an ocean between the scene of action and the nation’s leadership. Daring raids, port blockades, and startling military maneuvers shocked and frightened the pirates and the Tripoli leader, it also sent a warning message to the other Barbary states. The conflict launched the careers of American navy officers who would play roles in the coming War of 1812. A former American diplomat to Tripoli figured out that the current ruler of that state had seized the “throne” and exiled his older brother, who was the rightful heir. They hatched a scheme to find the rightful ruler, raised an army of rebels, Bedouins, and other nationals to help capture an important city. But the military force was undermined. A diplomat went to work in the Tripoli capital city and arranged a peace treaty – one, that with hindsight, was far too easy. The national army disbanded, the long-lost heir fled, and the marines had to escape back to their waiting ship. A frustrating ending coordinated by a politician and dictated to the military. 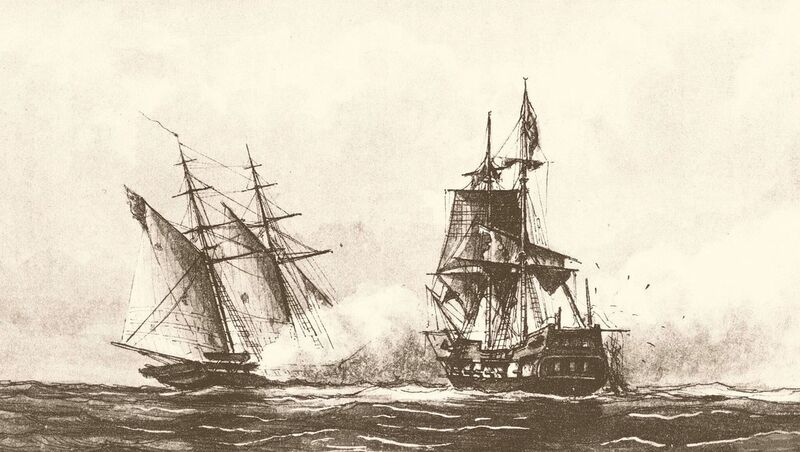 The second conflict (1815-1816) ended as the rulers realized that the American navy was more powerful and not afraid to destroy their capital cities. At Algiers, it took only forty-eight hours to negotiate a treaty in the American’s favor while the navy waited off-shore. The United States helped to reduce the terrors of Mediterranean voyages for all nations seeking to trade in the region. They won and enforced respect and safety for American merchants. As we’ve mentioned before, exporting American products to foreign ports and importing items for sale was a major source of income and a stability-building factor in the early American economy. Early in the nation’s history, America used its growing military power to protect its citizens and interests. They didn’t go seeking a fight, but when diplomacy failed to get fair results, it was time to send over the big guns. Literally. Keeping the oceans safe for American merchant vessels was a primary objective during the 19th Century and remains and important task today. P.S. I can’t do justice to this conflict in a 1,000 word blog post. If you want more details, I’d recommend reading Thomas Jefferson and The Tripoli Pirates: The Forgotten War That Changed American History. Someone really should make a movie, based on some of the historical incidents in this book!